Every once in awhile I need to remind myself that I am here to give. It’s easy to fall into the trap of solely focusing on what I need and what I want… my goals… my path forward… my success. 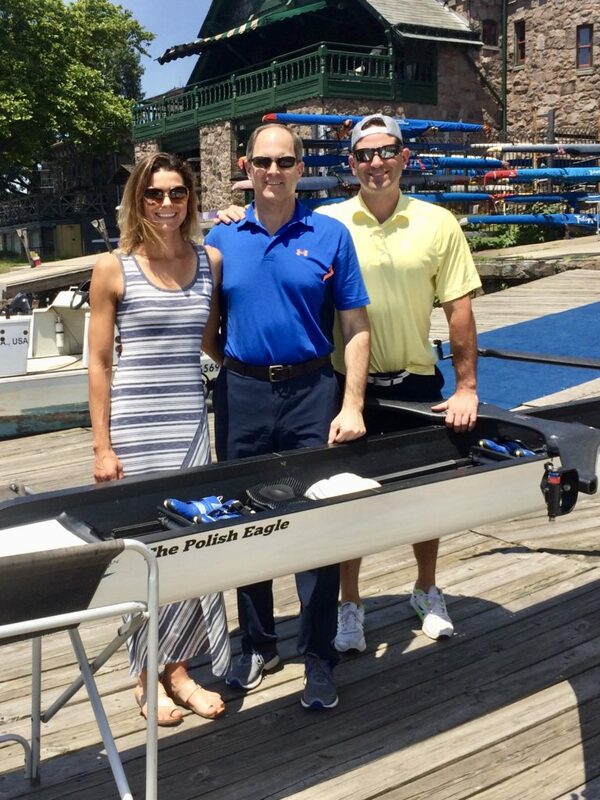 But, I am part of a team at Penn AC and a community on Boathouse Row. I am here to give as much as I’m here to personally succeed and grow. I’ve spent a lot of time recently on getting clear on who I am, what I stand for and what drives me in pursuit of more boat speed and rowing success. I’ve learned that I love a good challenge. And that GROWTH is one of the things I value most in this world. There have been times this year when I’ve felt stuck or unable to see a way forward. I ended up feeling frustrated, helpless, anxious or depressed, and that makes sense because stuck is very much the antithesis of growth. I’m starting to think that there’s always a way forward. Sometimes you just need to reframe your circumstances, or talk to someone you trust to gain a new perspective or see things in a different light. We’ve started work in the quad here in Philadelphia and everyday now I look for ways I can give and how I can grow. Teams are tricky. They’re exactly like families. We love each other. And simultaneously frustrate each other like crazy! Ultimately, though, we all want the same things—improvement, more boat speed, PR’s and big wins! I love being part of something bigger than myself. I love contributing to a greater whole. It’s race season. Tensions are high. And they will only continue to heighten as U.S. Trials approach and unfold. If you’re racing this summer, check in with yourself from time to time. Ask yourself what you value most, and what you want to gain from—and give to—this year. 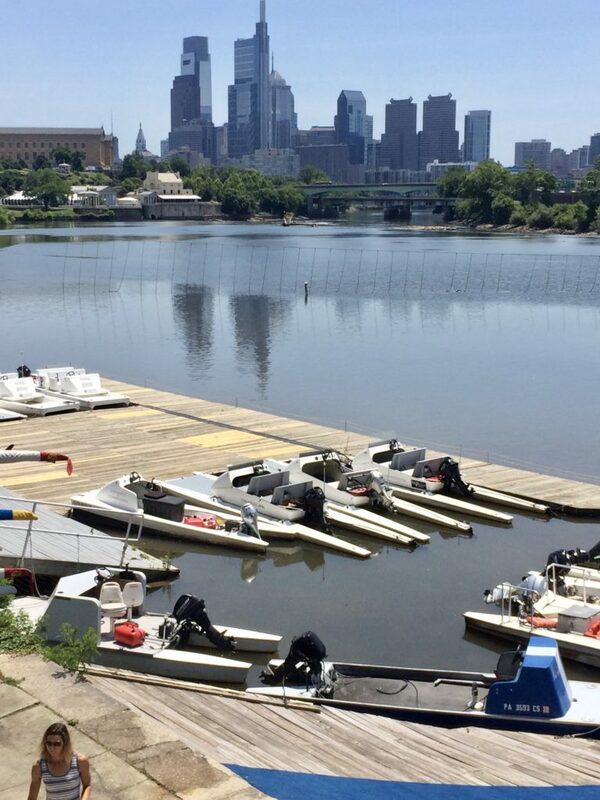 The Schuylkill Navy Regatta is the first summer regatta in Philadelphia. At the medals dock after winning the lightweight single. 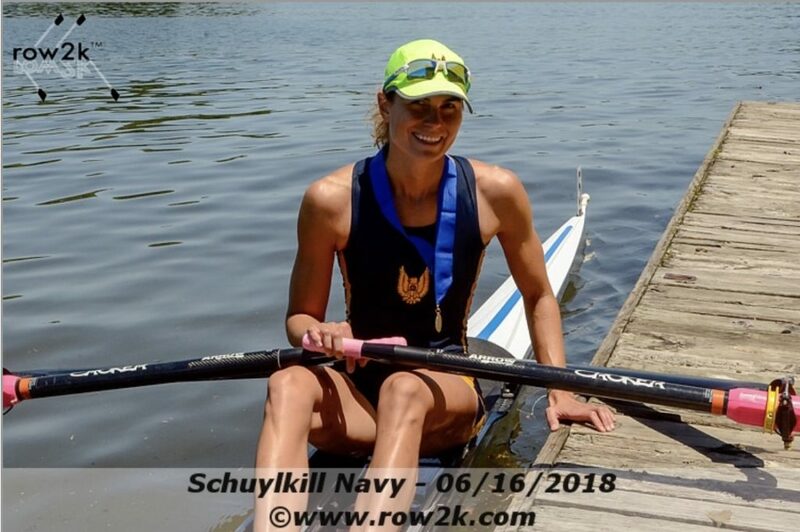 Read more about the Schuylkill Navy Regatta in this write-up on USRowing found HERE. Father’s Day and a boat christening! The city view from the deck at Penn AC. Photo credit: my dad! 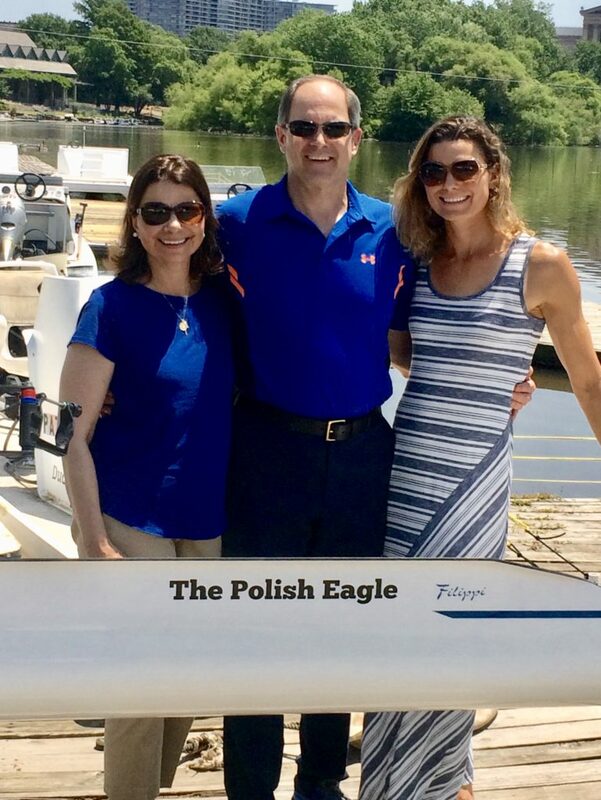 Mom and Dad in Philly, finally getting to see the new boat! The Polish Eagle is a national symbol. We have Polish ancestry and eagles are powerful birds of prey. She’s fast and she’s fierce! 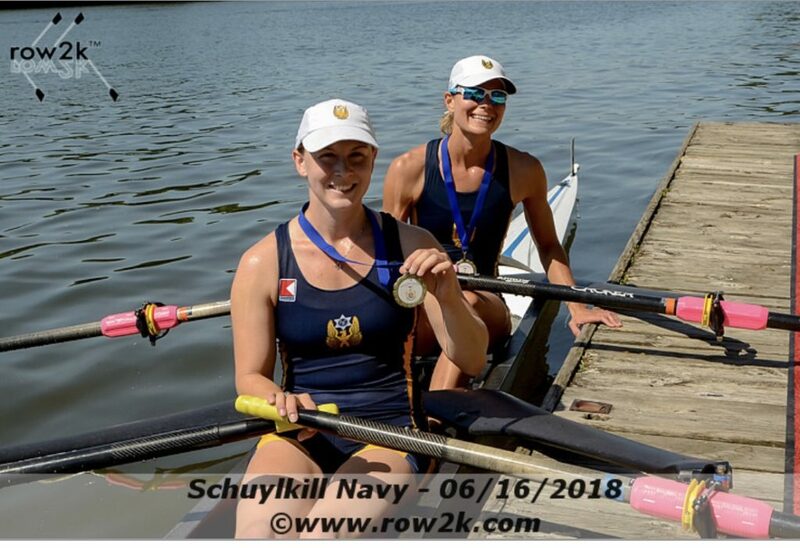 Congratulations on the two Gold Medals at the Navy Regatta! Grandpa Skola, Navy Veteran from WWII, is very proud of you! The Polish Eagle is the best of the best! Love your blog update. One of your best ever! This could be the start of a very good movie…’Stand Tall’. I’ll review with your film producer brother JR. Your message is spot on. Together Everyone Achieves More! In the arena of sports/athletics/rowing we learn the principles of determination, courage, team spirit, strength, wisdom and respect for others. Sports are a school for learning and promote strong character, spiritual greatness and a solid foundation for our lives. Well done! Thanks! It’s been fun to do a few races on the Schuylkill this summer. All good stuff!! This is such a good reminder! Great post!! Thanks, Jess! It’s bee great working together the past two months. I can’t wait to read *you’re* next post!! Great wisdom Cara! Always enjoy reading your blog. Great start to the season keep up the good work. I enjoy reading you blog!! !